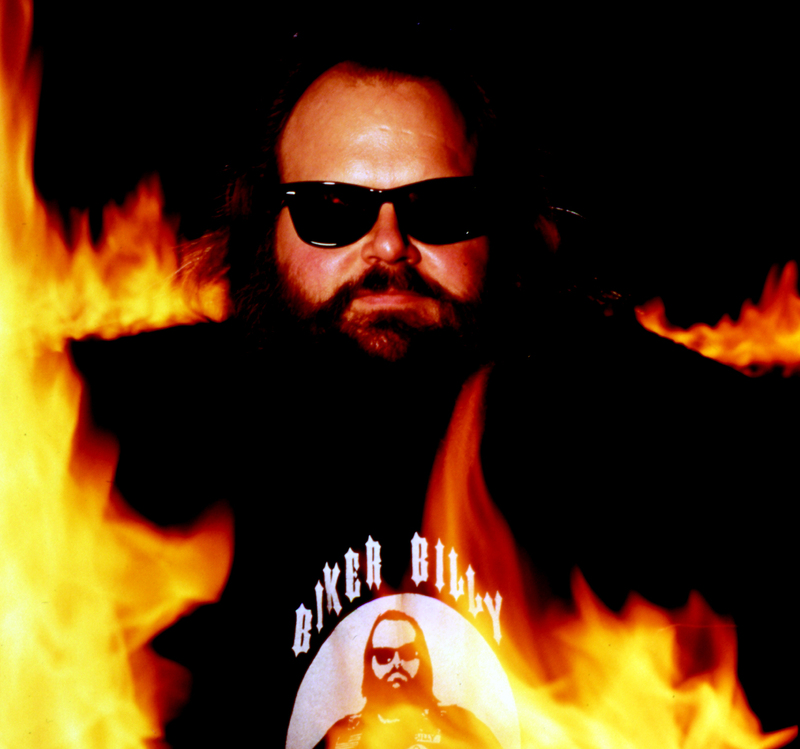 With the power of the Internet, I stumbled upon a very obscure relic from my childhood: Biker Billy Cooks with Fire. I remember this show being on channel 3. Incidentally, that was the channel my VCR (yes, it was that long ago) was tied to. I tended to catch a glimpse of Biker Billy whenever I was about to pop my VHS copy of The Empire Strikes Back in. It was on the public domain channel, and I never once sat down to watch an entire episode. Keeping the recipe itself aside, which actually looks pretty good, Biker Billy’s show clearly looks like a product of its context. As the show was on the public domain channel, the per episode budget was clearly nonexistent. They sort of put Biker Billy (who I’m sure actually showed up to the studio in a Ford Taurus) in front of a black background and behind a plug-in stovetop, and he was on his way. I’ve never seen anyone have to struggle so much to carry a show by themselves. The show was also meant for housewives of New Jersey from the 1990s. You can see Billy recommending his audience use a pre-made pie mix for the crust of his quiche. I wouldn’t see the likes of Gordon Ramsay or Emeril Lagasse doing that. Maybe Rachael Ray might. Furthermore, a running theme of the show was Billy’s use of margarine. Back in the 1990s, using margarine as a substitute for butter was a fad concurrent with the beginning of Cartoon Network’s history (back when it was awesome). Little did people realize that margarine was in fact worse for you than butter and that you should do what civilized people do and use a little olive oil to cook instead. The year 2000 was the threshold when America transitioned from being a place where everyone used margarine to one where nobody used margarine. I was so sure the existence of Biker Billy and “LOL” were mutually exclusive. And yes, my profile picture is that of Mifune Kurio from Mahha Go Go. Americans may recognize him as Spritle Racer from Speed Racer. The kicker? Half of Biker Billy’s posts link to his Google+ page. I wonder what it says more about: Facebook or Google+ that people like Biker Billy use Google+ as their main means of communication with fans. Either way, Mark Zuckerberg can eat his heart out. This post serves to reinforce that I am in fact a child of the 90s. I would encourage readers to share anything they can of whatever era happened to be when their childhood happened. As for me, stay tuned on The American Foodie where I might attempt a Biker Billy recipe for myself and see how it turns out.